Starkwood Chiropractic is a Portland, Oregon chiropractic clinic that is highly professional and experienced. 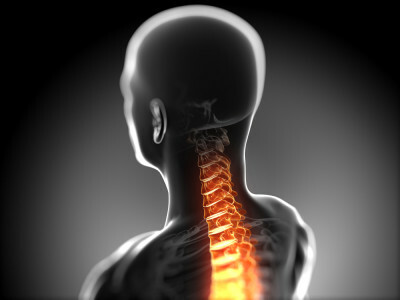 Our team of chiropractors are able to perform an assortment of chiropractic techniques. No other chiropractors in Portland can match our level of customer service and skill. We can successfully alleviate your pain and help you manage and maintain your overall health as well. One technique that we excel at performing is the Thompson Drop Table Technique. This technique was developed in 1957 by Dr. Clay Thompson, and is a slight variation of the Diversified Technique. The main difference is that the Thompson Technique utilizes a special table with sections that drop several inches when pressure is applied. When the chiropractor uses hand pressure to manipulate your joints, the table drops down slightly in certain sections to minimize the force needed to perform an adjustment. This helps move joints through their range of motion and helps to decrease pain or discomfort during the process. With the Thompson Technique, the chiropractor will first have you lie face down with your legs fully extended. They will then check for any differences in leg length to determine if you have any spinal subluxations or joints that are in need of adjustment. The Thompson Technique is very effective at improving posture, alleviating pain, improving flexibility and increasing strength in your spine and joints. It is especially effective for the treatment of pain in the lower or middle areas of your back. Unlike the Diversified Technique, there is often no popping noise heard when the Thompson Technique is used. At Starkwood Chiropractic, our Portland chiropractors will customize their treatment plans based on the needs and requirements of your body. We can determine which technique will be most effective for reducing or eliminating joint dysfunction or pain that you are dealing with. Contact us to schedule a free consultation with and begin your road to healing.